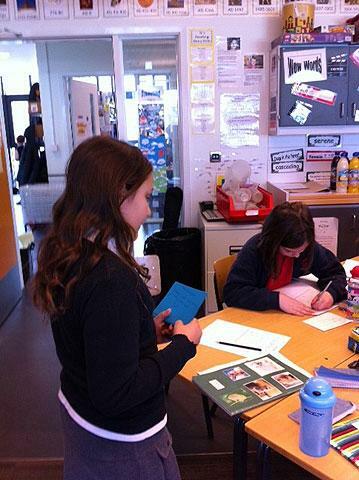 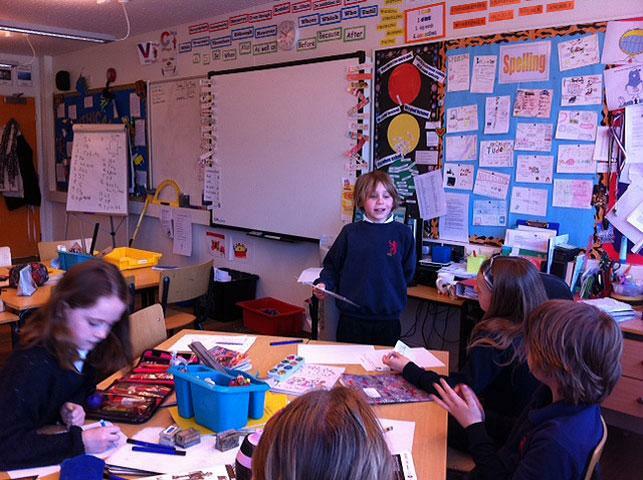 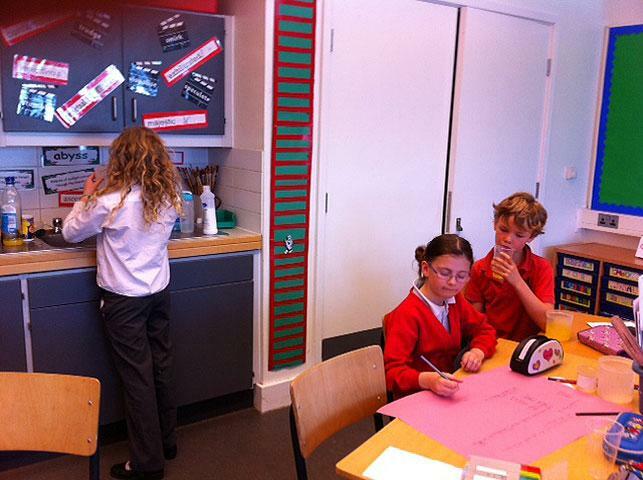 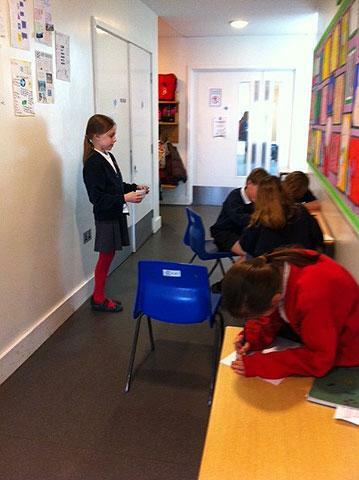 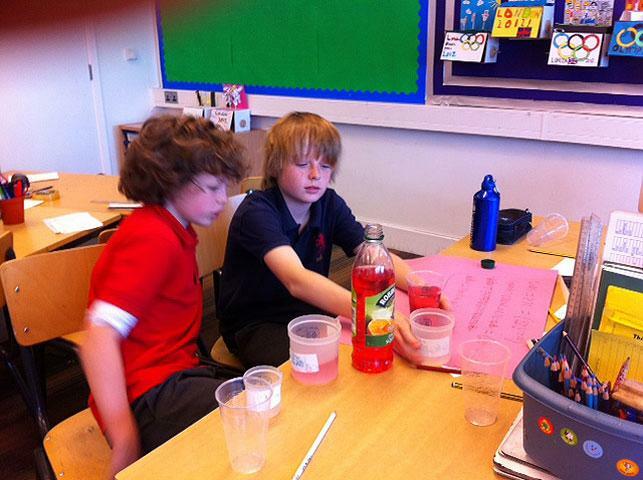 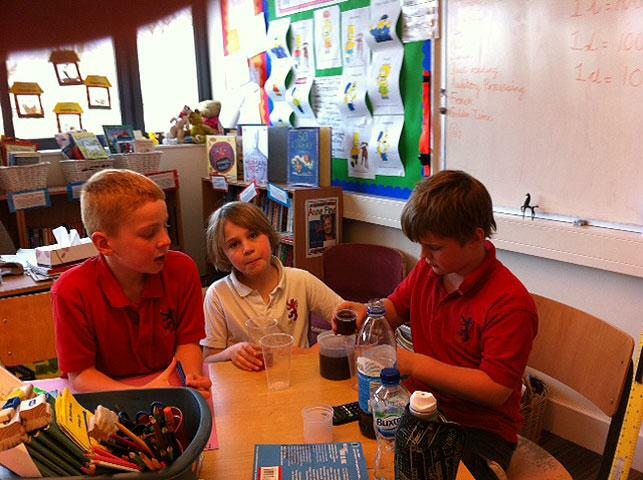 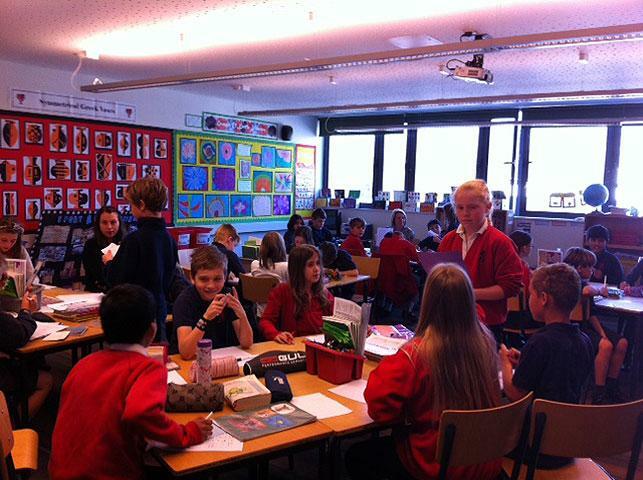 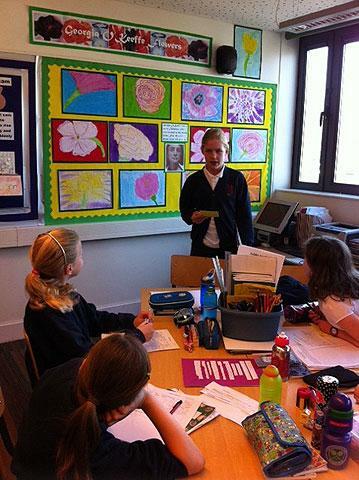 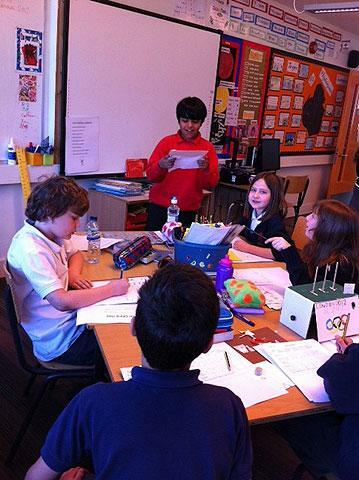 Last week we were really busy in Year 5. 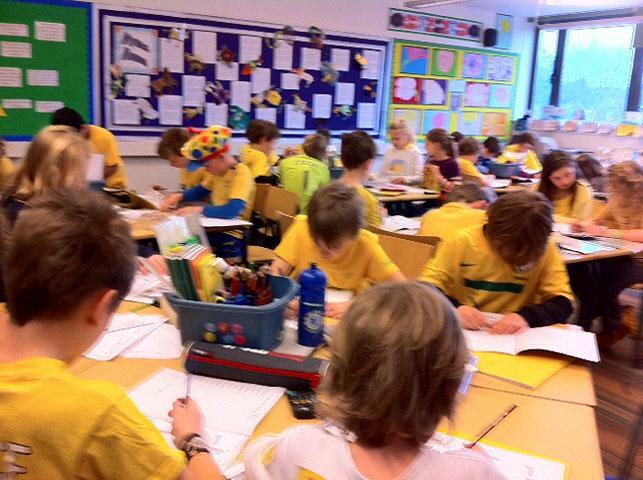 In order to raise funds for Childhood Liver Disease, we all dressed in yellow which meant that we were all really easy to spot! 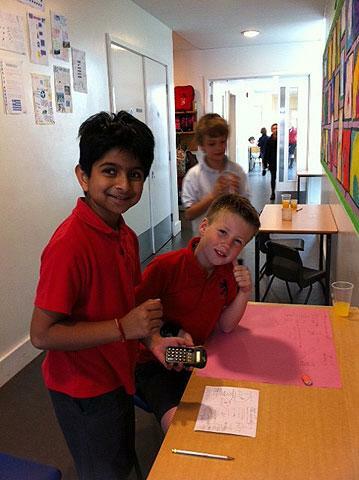 Here are some pictures of us enjoying our maths lesson. 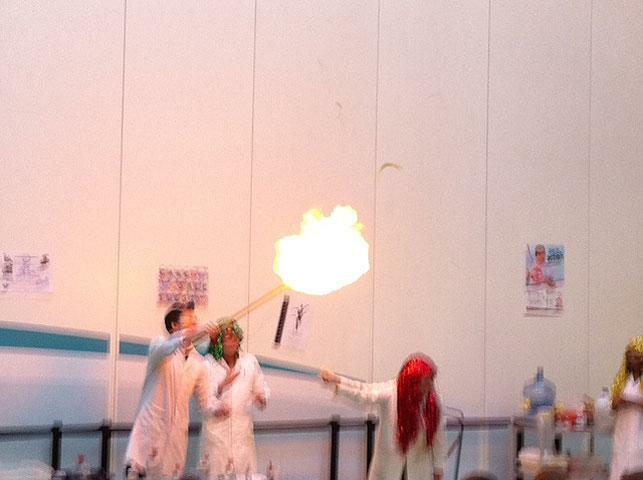 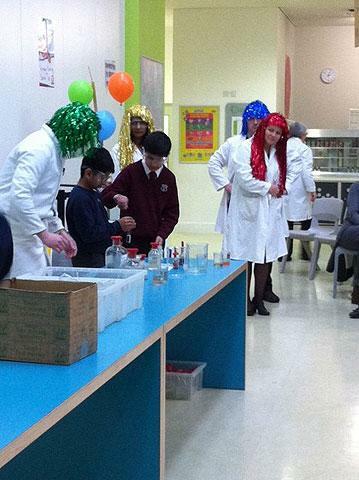 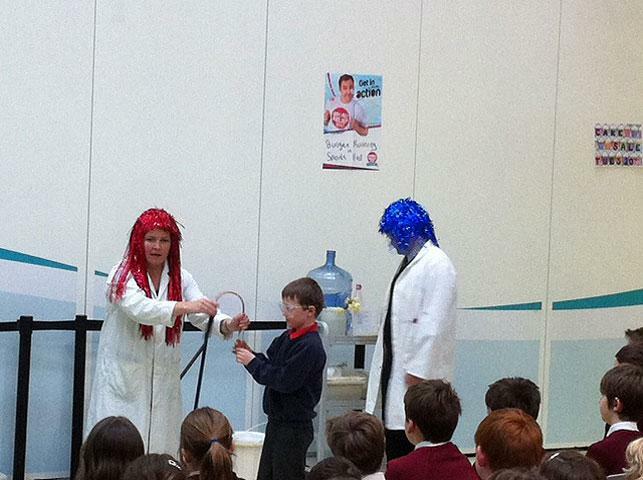 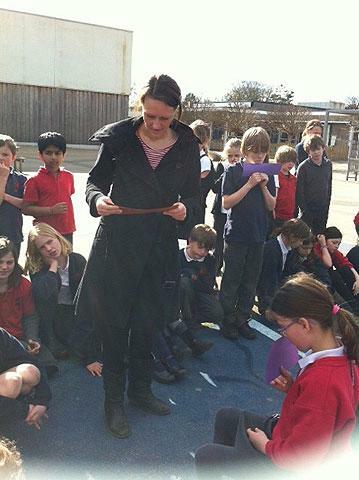 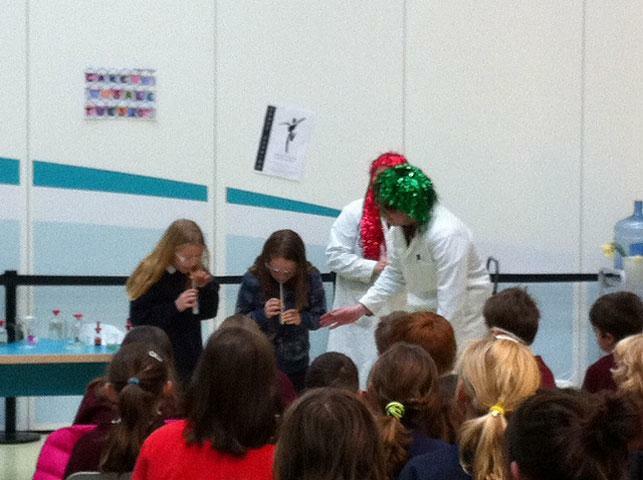 After lunch, we were lucky enough to be invited to Teddington School where we enjoyed a spectacular science show. 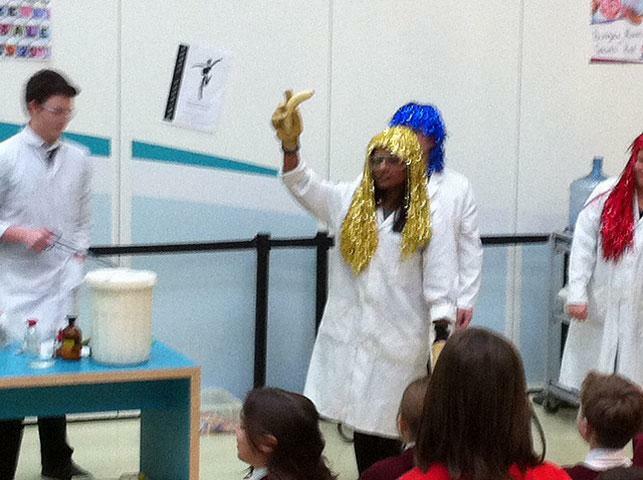 There were many highlights including: watching a banana being frozen in liquid nitrogen, experiencing a helium balloon being set on fire and finally, sampling Heston Blumenthall style ice-cream! 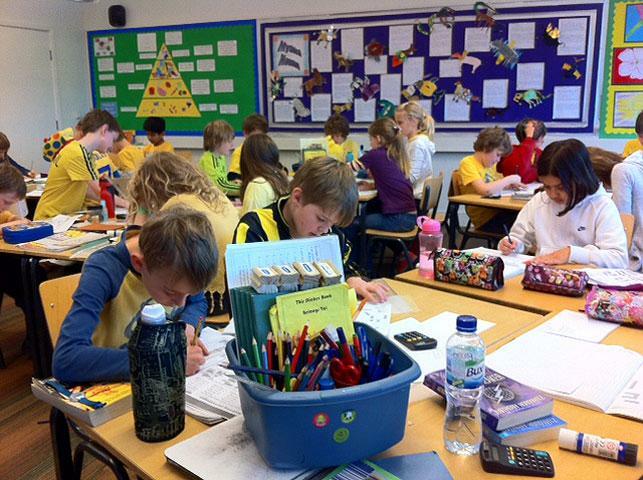 Monday morning saw us returning to the regular curriculum. 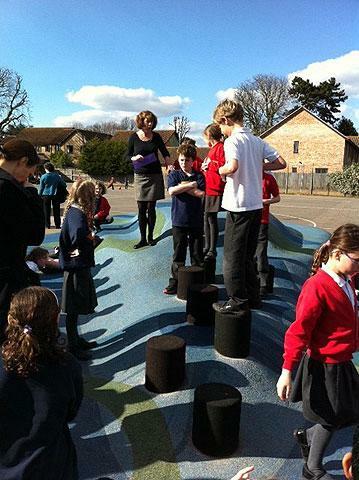 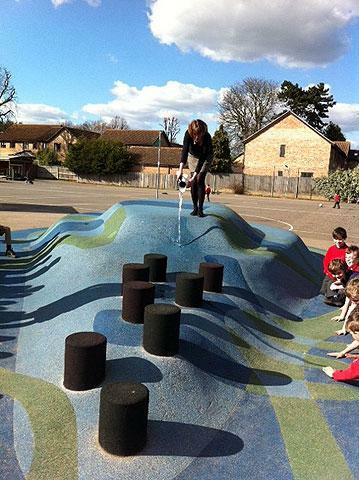 Luckily, it was sunny enough for us to make our own river in the playground.